Alright my friends. 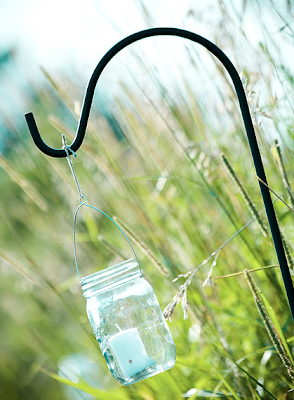 It's time for another entry on the many uses of mason jars. If you missed the last one, you can view it here. As previously discussed, I LOVE mason jars. Not just because they are cute and remind me of simpler times, but because you can do so many things with them. 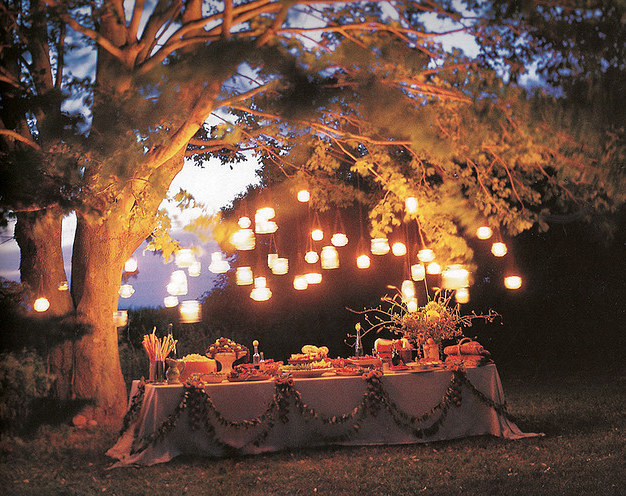 For instance, using them to create hanging lanterns for a fraction of the price you'd pay for ones at Pottery Barn. The weather is warmer and that means it's time to take life outside! 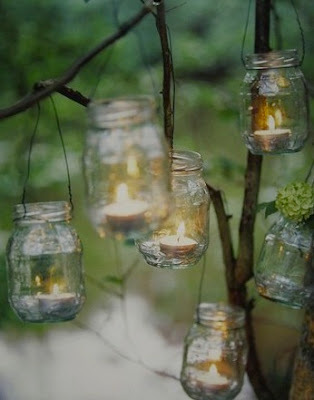 A good way to add a little charm and glow to your next soiree is by making these easy DIY lanterns and hanging them all along your outdoor space. I loved this idea so much that I even used it at my wedding, hanging the lanterns from shepherd hooks to create a path to the reception site. 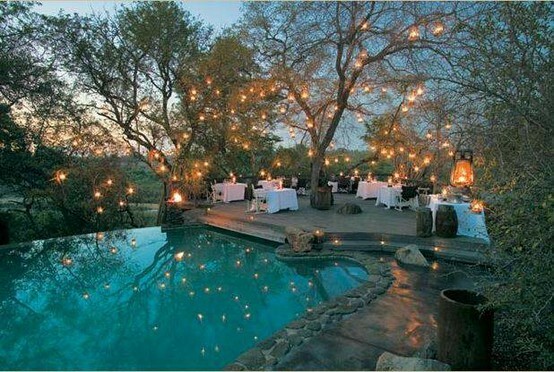 Before you know it, you could have a glowing backyard just like this!